​Minimize ​your risk of IP theft with a platform that enables secure large CAD transfer and company sensitive document transfer via non-secure channels. How Secure ​Is Your Data Exchange ​Platform? ​OpenDXM GlobalX is a secure ​data exchange platform that integrates joint ventures, development partners and suppliers without the risk of IP theft. In a globalized manufacturing world, analysts indicate that more than 80% of your development services are performed by external partners. A workforce of multiple partners and global vendors requires automated and secure engineering data exchange. ​Cross-company collaboration is a challenge, especially for a global development team. Efficiently sharing CAD data on a global scale introduces obstacles in compliance, regulations and file-sizes. The need to integrate other suppliers and vendors only adds to the difficulty. Your intellectual property (IP) can consist of a vast array of official papers, such as patents, industrial designs, inventions, trade secrets, customer lists, customer transactions, test results, database rights, processes and many other sensitive documents. Whether your IP falls into one or all of those categories, you want to ensure that it is protected. Is your company part of this year’s global $50-60 billion dollar IP loss ? Understanding how IP loss occurs is the first step towards preventing it. Do you have the right system configurations? Do you have protocols to ensure information is sent to the right person? Are there security standards in place to keep you compliant with regulations? How secure is your email data exchange? 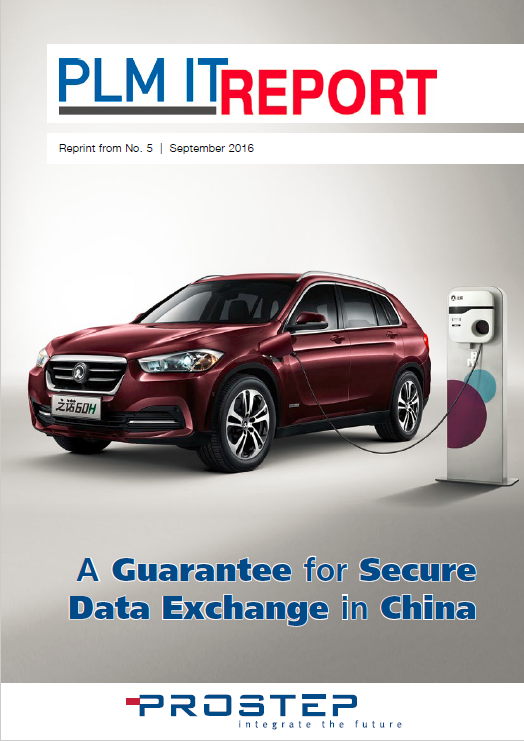 "​The major benefit provided by PROSTEP's data exchange platform is that we now have a uniform solution that we can use not only to exchange data automatically but also to upload and download data manually... That not only makes life easier for us here in the IT department but also for users in the specialist departments, which has a positive impact on the acceptance level. We have an increased the number of licenses within a very short period of time from the original 100 to 300." "We are thus showing our customers just how seriously we take the subject of data security and that their data is in good hands"
Are you still using old methods of ​data exchange? How can OpenDXM GlobalX help? ​OpenDXM GlobalX is ​your secure engineering data exchange​ center. 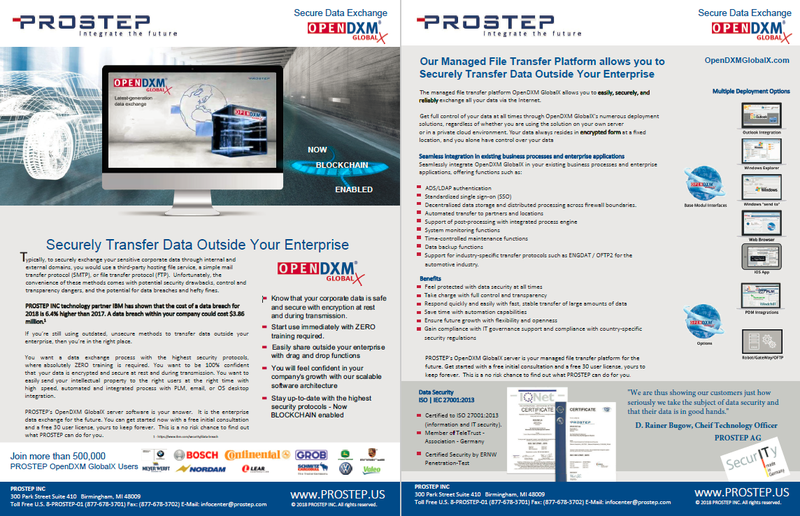 ​​OpenDXM GlobalX provides a ﻿Managed﻿-File-Transfer (MFT) solution for all types and sizes of documents in all divisions. ​​OpenDXM GlobalX delivers all-over data security, real end-to-end encryption with enforcement of corporate ﻿compliance﻿. ​​OpenDXM GlobalX includes an integrated process engine for fully automated file processing from application to application (A2A). Secure exchange needs to be simple and easily accessible. End users do not like complicated multi-step processes, and they will often forego a secure exchange altogether if it seems like too much work. This leaves your data vulnerable and exposed. PROSTEP addresses this issue by providing several user interface options to choose from for convenient and secure data exchange. Go beyond the limitations of Outlook - top performance and a high level of process reliability during data transfer – even for extremely large volumes of data involving multiple gigabytes. Secure through multi-level data encryption with decentralized data storage and distributed user accounts. Increased speed and stability, optimized for exchanging large amounts of data across long distances. Easy to use and intuitive operation in the web browser with straight forward system administration. Flexible integration with Windows Explorer, Outlook, and existing applications. Interruption-resistant Transfer - A special transfer log guarantees stable data transfer even for unstable Internet connections. Data is transferred in blocks, ensuring that transfer operations that have been interrupted can be resumed at the same position at which they were interrupted. Parallel Transfer via Multiple Channels - Parallel data transfer using multi-thread technology ensures that large amounts of data comprising of several gigabytes can be transferred over long distances much faster that with conventional data exchange solutions. Transfer Manager - Transfers are controlled and monitored using the clearly-structured user interface allowing block size, number of transfer threads, etc. to be specified and thus ensuring extremely stable and high performance data transfer. Automatic Logging - Every user action and every process in the database is stored in an audit-proof manner so that they can be traced at any time by any user or administrator. The system notifies users when data is available for downloading or when it has been uploaded. 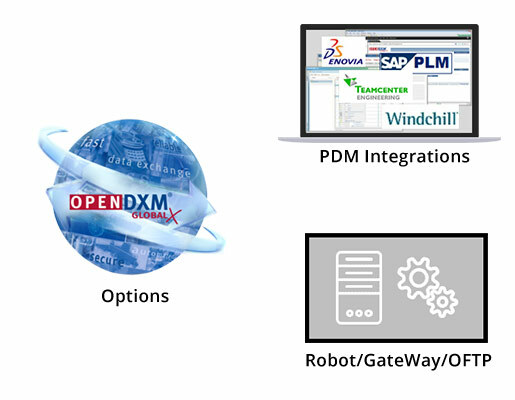 ​Integration in the IT Infrastructure - OpenDXM GlobalX integrates seamlessly in existing business processes and enterprise applications. Standard interfaces are available for PLM, ERP, and Office systems. Web services allow for other systems to be integrated quickly. ​Integration in Outlook - Outlook integration allows for large and confidential files to be sent from a user's familiar email environment. Attachments of a given size, type, or for certain recipients are automatically encrypted and made available to recipients in the OpenDXM GLobalX portal. ​Integration in Windows Explorer - Users who navigate with Windows Explorer can exchange data easily via drag-and-drop. Users also see incoming data in their familiar folder structure and can download it from the portal with a single click. ​Mobile Data Transfer - OpenDXM GlobalX iOS app allows protected files to be downloaded securely in the common Office and graphic formats or as PDFs onto iPhones and iPads so they can be seen offline. Users can upload documents that need protecting in encrypted form while on the go. Data Encryption - All data is encrypted with an individually generated key using hybrid encryption with a key length of up to 4096 bits. Key Management - Data resides in encrypted form in the File Vaults located at any site worldwide. The server can be located in a country of your choice, where the keys do not have to be handed over to government agencies. 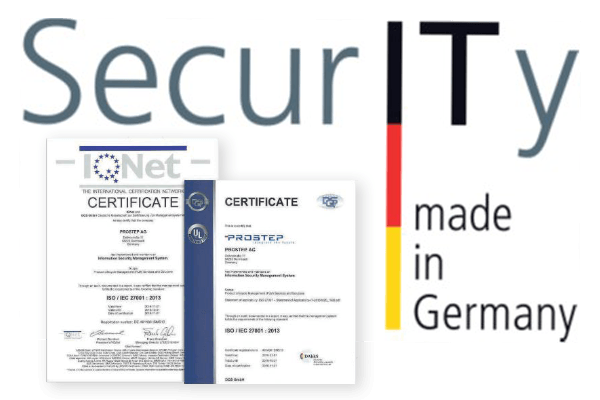 Encrypted Transfer - Data transfer within the company and via the Internet is performed using an HTTPS connection with a 256-bit encryption. Any attempt to manipulate the data during transfer prompts the system to recognize this and marks the data accordingly. Reliable Identification - Access to data is controlled using a comprehensive role and rights management system. Existing ADF/LDAP systems can be integrated for single sign-on. Satisf​ies Compliance Requirements - Because of OpenDXM GlobalX's audit logging of all users and processes, it makes it easier for companies to provide proof of compliance with statutory and company-specific requirements. ​Operation in Web Browser - Thanks to its intuitive web browser interface, OpenDXM Global X can be run in the web browser and can be used without any special training. ​Automated Data Transfer - Data transfer within the portal and a user's workstation can be automated with the help of an OpenDXM GlobalX agent. Exchange of data with partners or between different sites can be fully automated. ​Configurable Web Spaces - User and user group WebSpaces can be managed and configured individually helping to facilitate targeted transfer of data to certain individuals or project teams involved in joint development projects. ​Integrated System Monitoring - Internal and external user accounts are easy to manage via the system administrator's use of templates. The monitoring functions let the administrator know which keys are about to expire, which storage quotas have been exhausted, etc. ensuring smooth operation. Try the Data Exchange Platform Everyone is using. 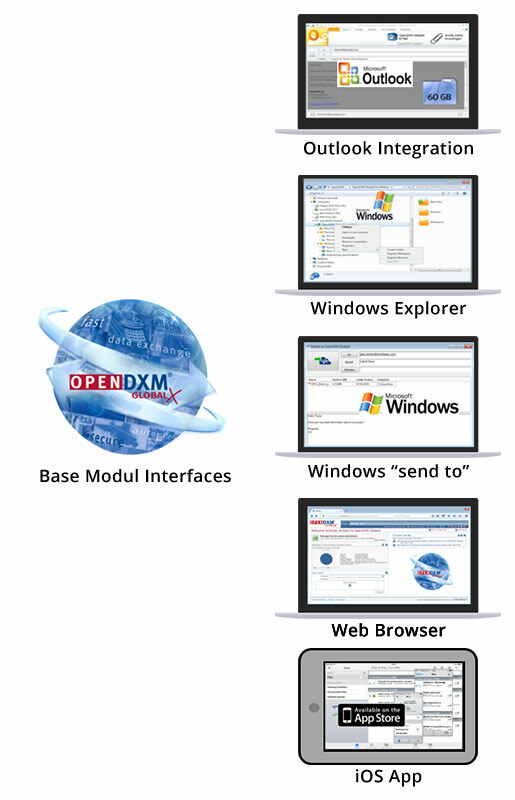 Ask us about your no-risk, on-premise installation of OpenDXM GlobalX. Please speak to a PROSTEP representative for terms. 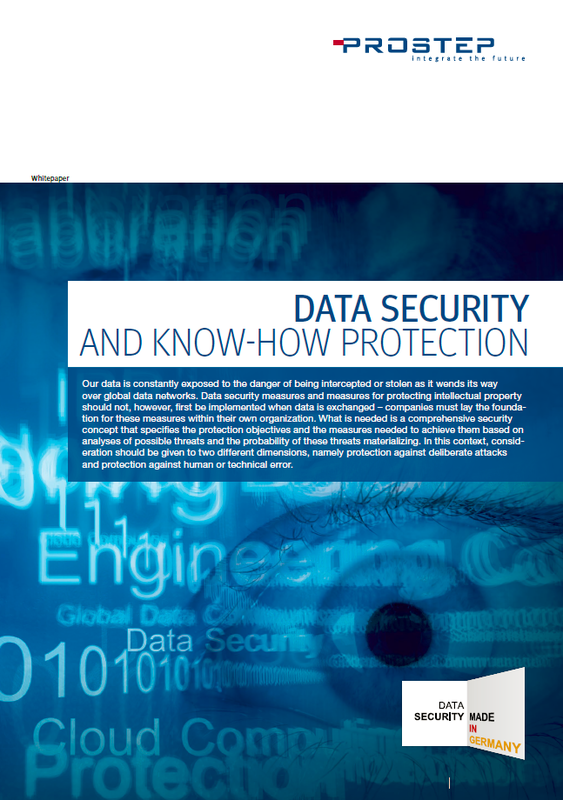 ﻿PROSTEP experts highlight the basis for secure data ﻿communication and show how automated data preparation can result in increased ﻿data ﻿security. 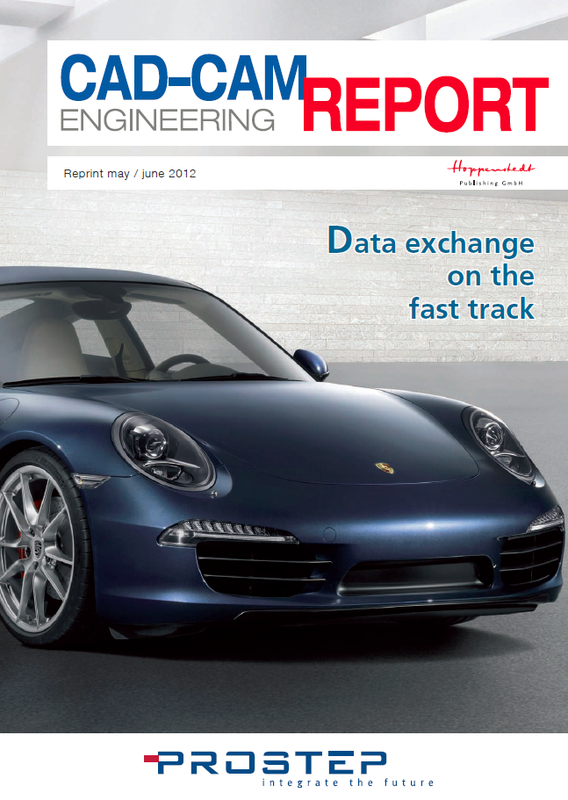 ​Automotive manufacturer Porsche utilizes OpenDXM, the web-based data exchange platform from PROSTEP, to securely exchange large volumes of data with its suppliers. * PROSTEP will install one instance of the PROSTEP software product(s) of your choice for a 60 day, fully productive trial at your site. Remote services are limited to up to a total of 40 contiguous hours, though additional services may be purchased for more complex trials and implementation. PROSTEP will provide a travel allowance of up to $1,500 for on-site software installation at the customer premise, if required. Additional travel expenses will be the responsibility of the customer. 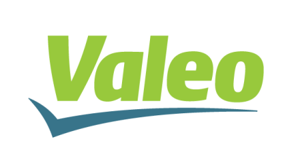 This offer is valid for installations that occur in Continental North America prior to April 30, 2019 and is dependent on resource availability. Trials will be scheduled on a first come, first served basis. The customer is responsible for any additional hardware, software, facilities, fees not stated above and connectivity that may be required to complete the installation. Software is node locked and will expire at the end of the trial period. PROSTEP’s default Terms and Conditions will apply for the term of the evaluation without modification. If your project has ITAR restrictions, please discuss ahead of time with your PROSTEP representative to determine availability. Contact your PROSTEP representative to schedule and discuss timing and availability.